Click on the map below to find Yard Sales all over the Island. Here’s a link to our interactive yard sale map. 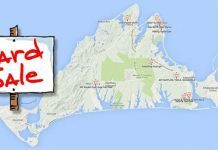 It’s summer and yard sales are happening all over the Island each weekend. 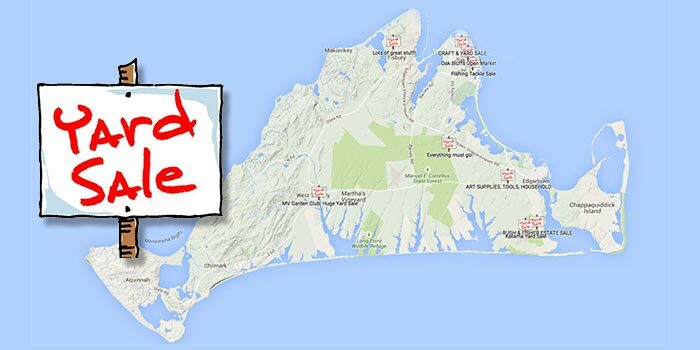 Here’s another handy map for all you bargain hunters looking to visit this weekend’s yard sales. Although we value the time-honored tradition of circling the sales we want to visit in the MV Times, then plotting them out (numerically, with maps, etc)… we think this is better: just click on a “Yard Sale” way point, and it’ll tell you when, where, and what. Now you can plot your route on our map, and take it with you on your phone; no more pen and ink needed.